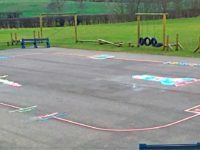 The first4playgrounds team traveled to a breezy Derbyshire during the October half term holiday to install a bike and scooter Road Track at Spire Infants School in Chesterfield. 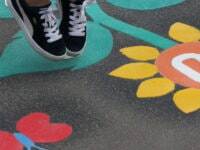 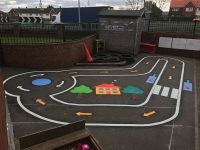 We worked with the staff at the infant school to create a colourful Road Track that would fit the playgrounds unique shape and included roundabouts, traffic lights and a zebra crossing – all great to teach the children road safety skills. 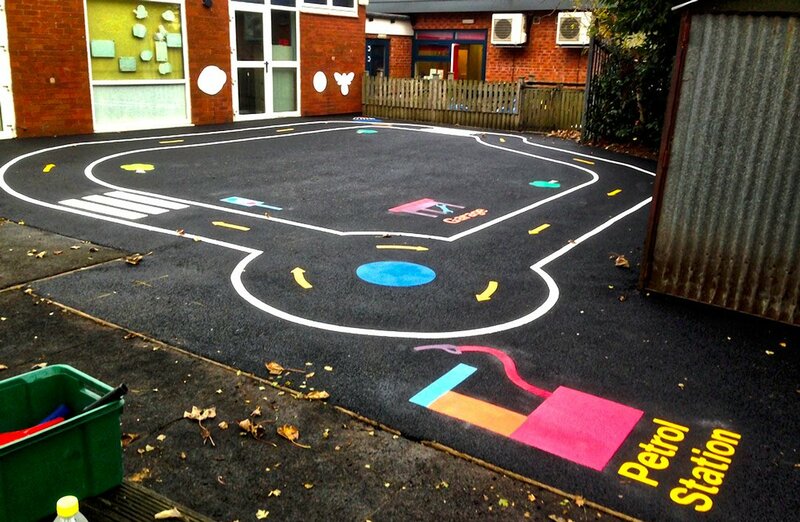 We also added some visual interest to the track by adding a petrol station, car wash and garage. 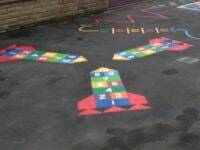 To finish off the Road Track theme we installed some practical features with parking bays under a covered shed and designated areas marked out for the children’s balance bikes and scooters.